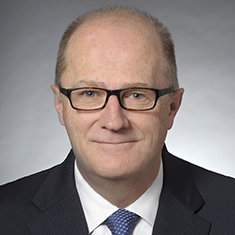 Ted S. Helwig is General Counsel to the firm and concentrates his practice on financial services litigation and white collar fraud investigations and litigation. He represents clients in enforcement proceedings before government and self-regulatory agencies and exchanges. Ted is particularly experienced in matters regarding financial products, including derivatives, options, commodities, swap contracts and futures. He counsels clients involved in Securities and Exchange Commission (SEC), Commodity Futures Trading Commission (CFTC), Financial Industry Regulatory Authority (FINRA) and exchange enforcement investigations. He also advises individuals and companies under grand jury investigation or indictment and conducts a wide range of internal investigations for clients involving potential violations of federal laws and regulations, including anti-kickback, anti-money laundering, false statement matters, and mail, wire, bank and investment fraud allegations. Before joining the firm, Ted served in the US Attorney’s Office for the Northern District of Illinois as an Assistant US Attorney and Deputy Chief of the Criminal Receiving and Appellate Division, where he was responsible for cases involving complex loan transactions, financial, insurance and tax fraud, health care fraud, commodities fraud and appeals. Shown below is a selection of Ted’s engagements.